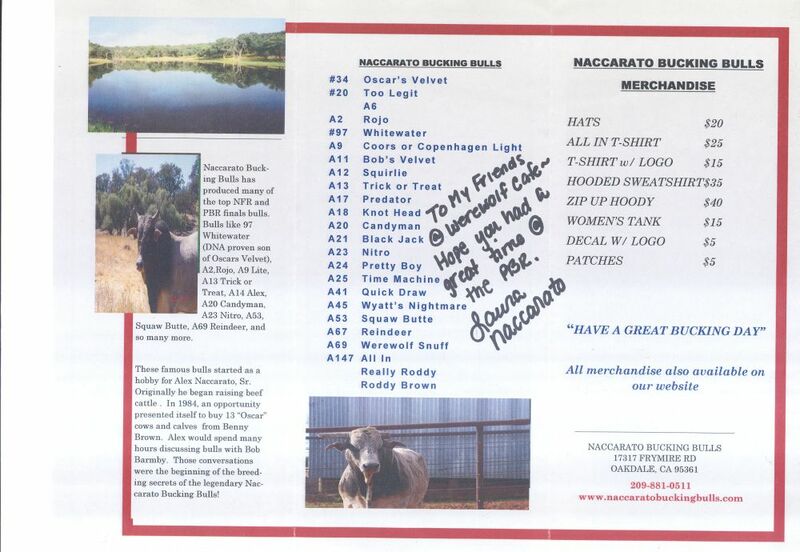 A thank you goes out to Laura Naccarato for these autographed items from Naccarato Bucking Bulls which is the home of the famous bucking bull "Werewolf" (also known as "Werewolf Snuff"). 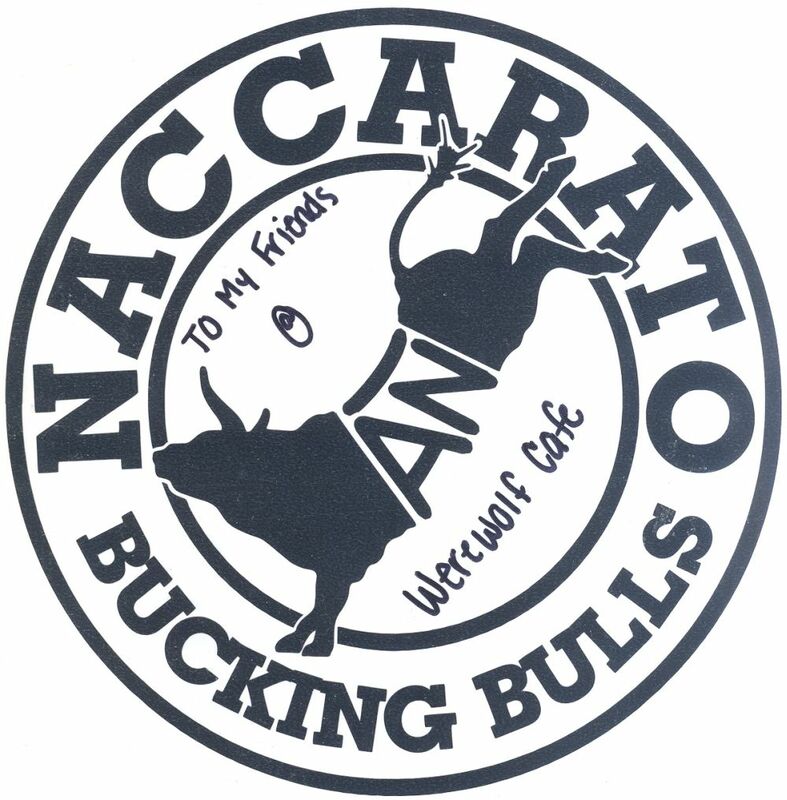 Werewolf has been a bucking bull at past Professional Bull Riders (PBR) events (PBR Bull ID is FUA69). Thank you so much Laura! The website for Naccarato Bucking Bulls is www.naccaratobuckingbulls.com. 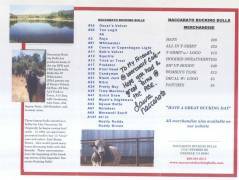 Related weblink for Werewolf Snuff at the PBR: http://www.pbrnow.com/ridersbulls/bulls/bullsLoadNew.cfm?ID=5900.